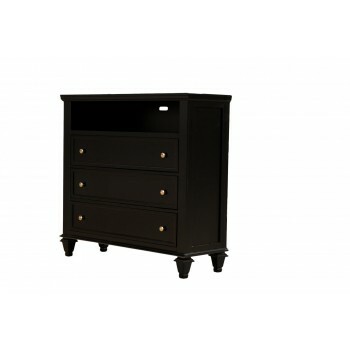 Includes: 3510-50 TV Chest The Ainsley Collection by Urban Grove is the timeless choice for any bedroom in your home. Crafted in quality wood solids and veneers, the Ainsley bedroom group features modern detailing and elegant lines that complement both contemporary and traditional spaces. Achieve your ultimate bedroom retreat that is rich in character and classic clean-lined refinement. Available in White, Dove Grey and Black.